John Williams created a brand-new score for Star Wars Galaxy's Edge and you can listen to a preview of the main theme below. In addition to the score preview, the accompanying video also shows off the construction of the Star Wars area of the park, as well as previews for the Millennium Falcon Smugglers Run ride and the Rise of the Resistance ride. Both Disneyland in California and Disney World in Florida are getting the new additions, but California gets them first, starting in the summer of 2019, while Florida has to wait until fall 2019. When visitors are walking around Star Wars: Galaxy's Edge, they will be treated to a custom score that John Williams composed for the new area of the Disney theme parks. Williams created a fun score, which feels adventurous and light, but has some dark undertones as well. It fits in really well with the other scores for the Star Wars franchise that the composer has written over the years. The Galaxy's Edge score was recently recorded by the London Symphony Orchestra at the legendary Abbey Road Studios, and was conducted by Williams' longtime associate William Ross. John Williams was recently hospitalized with an illness and had to cancel some performances. However, the composer is doing much better now, and is expected to perform again soon. Additionally, Williams will be working with J.J. Abrams again to compose the score for Star Wars 9, which will sadly be Williams' last movie for the franchise. The 86-year old has decided that it's time to pass the torch to a new composer for the future of Star Wars. With that being said, whomever takes over for Williams will more than likely be working within the parameters that have been set by the iconic composer. In addition to being an immersive experience, Star Wars Galaxy's Edge has two rides that look pretty awesome. The first is the Millennium Falcon Smugglers Run ride, which puts visitors inside the cockpit of the famous ship. The teaser video doesn't offer up much about the ride, but it's pretty cool to see all of the switches in the cockpit start to light up as the adventure is about to begin. Guests will be on one of three missions as they escape Batuu. The Rise of the Resistance ride puts guests inside a First Order destroyer and it looks pretty cool. Guests will be able to experience what it's like to be caught in the middle of a battle between the First Order and the X-Wing fighters of the Resistance. The video teases the space battle at the very end and the parks promise to put guests face to face with Kylo Ren. 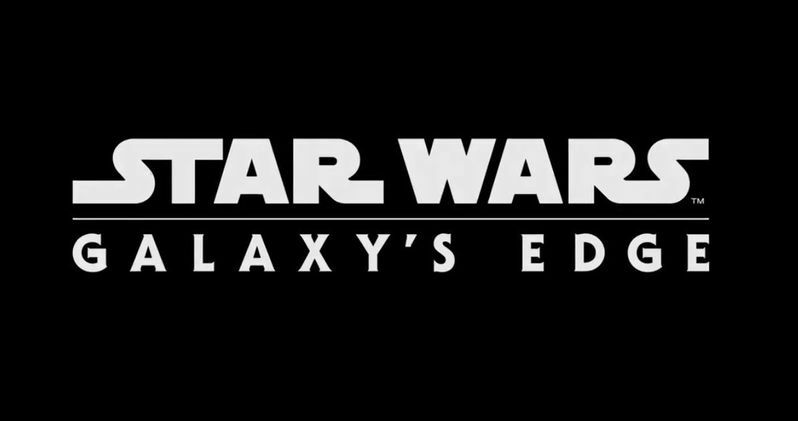 Disney is stepping it up for Star Wars Galaxy's Edge, and these new videos are sure to get any Star Wars fan extremely excited for grand opening. You can check out John Williams' new score as well as the previews for the two rides below, provided by the Star Wars Twitter account.